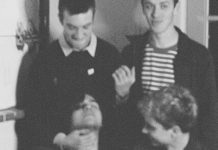 Last night, after what felt like an excruciatingly long half-decade, one of the most influential pillars of pop punk reunited and resurrected themselves, proving once and for all that the genre is certainly neither dead nor dying. Making a grand entrance to the Game Of Thrones theme song, GOOD CHARLOTTE took the stage in their “adopted home” of Los Angeles at the city’s historic Troubadour for the first time in nearly six years. “We warned these guys it ain’t gonna be pretty,” guitarist and vocalist Benji Madden said regarding getting the band back together. Funny thing is, it was like they never left in the first place. Did you expect anything less? Good Charlotte charged out of the gates in full force. There was no easing into things. There was no build up. The classic, rebellious song of every emo/pop-punk kid’s life was up first on the setlist. While nostalgia hit hard, everyone’s hands did in fact, go up, and the energized crowd never missed the chance to scream out their disdain for conformity. 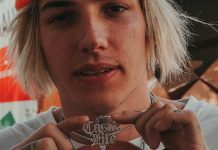 From Good Charlotte protégés, 5 Seconds Of Summer, to LA-based alternative-rock band Bad Suns to legendary singer-songwriter Lionel Richie to Oscar-nominated actress Cameron Diaz to fashion mogul Nicole Richie (granted the latter two are each respectively married to one of the Madden brothers), everyone loves Good Charlotte. The Troubadour was no doubt the “it” spot on Thursday night, serving as an A-lister’s playground. In one quick survey of the sold-out crowd, one could witness Diaz and 5SOS’s Ashton Irwin head-bopping to “I Don’t Wanna Be In Love” a few hundred feet away from each other at any given moment. Only in L.A., people. With a new record slated for release in 2016, the band eagerly announced that in addition to their UK dates supporting All Time Low, there will be a Good Charlotte tour next year, so get ready for another loser anthem (Whoa!). Right before the band transitioned into their newly released single “Makeshift Love,” lead vocalist Joel Madden took a moment to give shoutouts to their longtime producer John Feldmann, former My Chemical Romance bassist Mikey Way (who was also in attendance) and 5 Seconds Of Summer, who played a vital role in inspiring the Good Charlotte comeback. (Thank you, 5SOS!) “We got the pop-punk bug,” Benji admitted right before they invited Feldmann onstage. Was he going to say a few words? Make a speech, maybe? Of course not—this is a pop-punk show, folks. He’s going to crowd surf. Like an explosive ball of energy, Feldmann dominated the stage in just a few short minutes with his own rendition of “Makeshift Love,” which included a little bit of hollering, a little bit of signing the horns and a whole lot of crowd surfing. 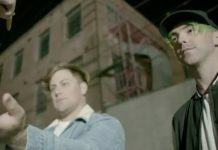 When Good Charlotte first announced their long-awaited reunion show, the band and their management continuously made a point to ensure the performance would strictly be for the fans. So much so that a lot of media outlets weren’t even granted access. So, did Good Charlotte actually live up to this claim? Well, the answer is absolutely 100 percent. Actually, make that 110 percent. “We are a people’s band,” Benji told the crowd toward the end of the 16-song set. The band went on to discuss their hardships as well as their successes, reminiscing on days of homelessness and how they “came from nothing.” But, Los Angeles gave them everything, they confessed to a captivated, completely immersed crowd. Los Angeles gave them their dreams. Their families. Their accomplishments. But, last night, Good Charlotte gave it all back to the fans. 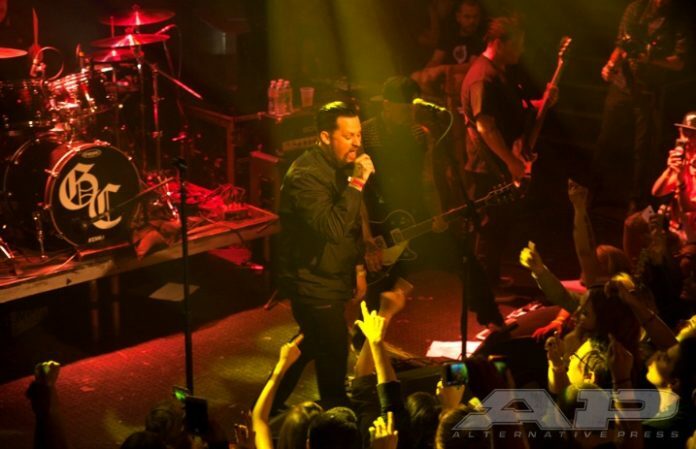 Previous articleThis is the anthem: Live updates from Good Charlotte’s comeback show!